MAPADOC EDI for Sage 100 ERP is excited to announce our latest customer success story for Promax Nutrition out of Newport Beach, CA. Promax implemented MAPADOC in 2012, prior to that Promax processed their EDI via web and rekeying the orders into Sage 100 ERP, which was taking more than half of one person’s day to process orders. As Promax’s business grew they would have had to hire another person to keep up with the extra work. Instead they choose to implement MAPADOC, the leading EDI solution for Sage 100 ERP, Sage 500 ERP and Sage ERP X3. CHALLENGE: Promax was losing valuable time and money processing EDI via web portal and re-keying the orders into Sage 100 ERP. This took more than half of one person’s day to enter these orders. SOLUTION: MAPADOC EDI seamlessly integrated with their Sage 100 ERP accounting system to streamline processes and eliminate duplicate data entry. RESULTS: The added overhead of additional staff was not required while the company streamlined processes and increased revenue with the MAPADOC implementation. 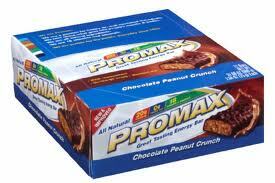 Promax is a leading nutritional bar company since 1996. Promax has two product lines; Promax Energy and the Pure Bar. The Promax team truly cares about what goes into people’s bodies, so they pack their bars with replenishing protein, vitamins and minerals, and great-tasting flavors. You won’t find any artificial sweeteners or preservatives, high fructose corn syrup, trans fats, maltitol or gelatin, and they are gluten-free, kosher and vegetarian. To read the entire MAPADOC EDI/Promax Success Story please click on the following link.